American Top Team Fort Lauderdale has a way to prepare students physically and mentally for the holidays so can be experienced something a little bit different. 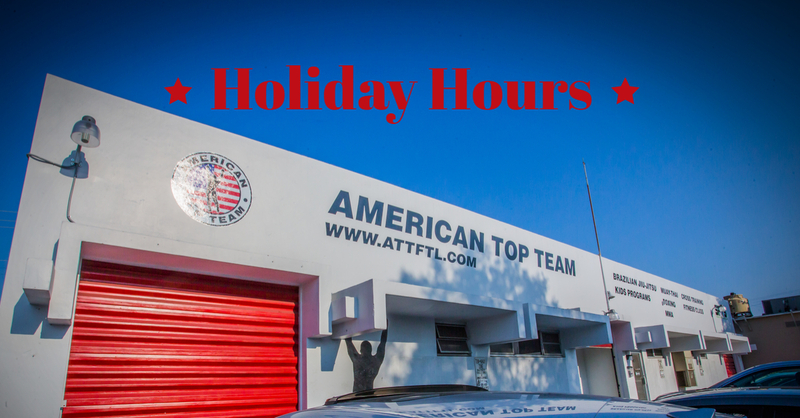 Enjoy your holidays training American Top Team Fort Lauderdale will be opened most of the days during the holidays so you can enjoy your time here with family and friends too. Invite and bring them to come to train with you and show them your gym family. We offer day pass, week pass a lot options for the visits here . It will be a very exciting experience as in this time of the year the gym welcome a lot of people coming from different places that are in town for visiting and vacation during the holidays. There are a lot different packages available that fit perfectly for these situations as day pass, week pass and even the month pass. In addition to upcoming holidays, American Top Team Fort Lauderdale has the pleasure to inform that the big Belt Promotion Event for kids and adults is coming soon. Stay connected to see the exact days of it. One more strong reason to keep training during the holidays.